OLD PARKED CARS. 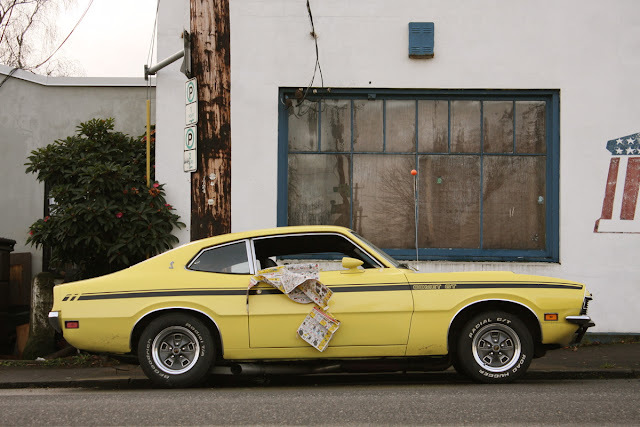 : 1972 Mercury Comet GT. this is my favorite gen of comet, love the gt models and those wheels look great. with the 302 this thing is perfect for budget performance. 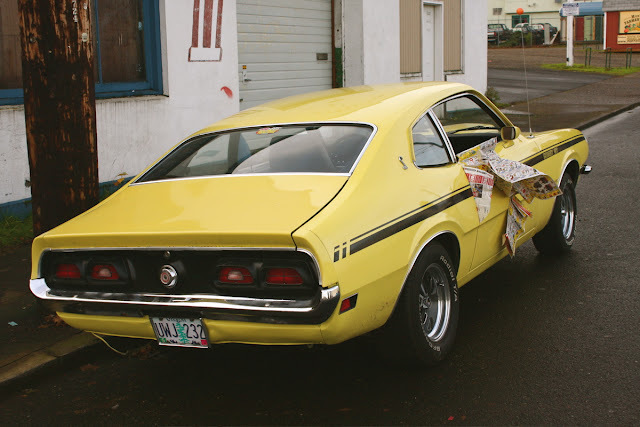 If I were to ever buy a budget compact american muscle car this would be it. Never seen a 70s Comet before .. those are some nice lines. I think I like this more than the 60ps caliente I used to cruise in. What was the fascination with the bumble bee color scheme? (To be fair, I think recent Dodge Chargers have used this color scheme as well). Do black and yellow suggest speed? To me, the color scheme suggests improbable flight and a love of nectar. Black and yellow - it's the predators colors - wasps, cheetahs, tigers - it's emblematic of the lone hunter, stingers and teeth.....and what's with the newspaper? Everybody keeps calling this car a bee or wasp, no wonder it's got a newspaper stuck to it. Badass Maverick, shame someone vandalized it with newspaper. 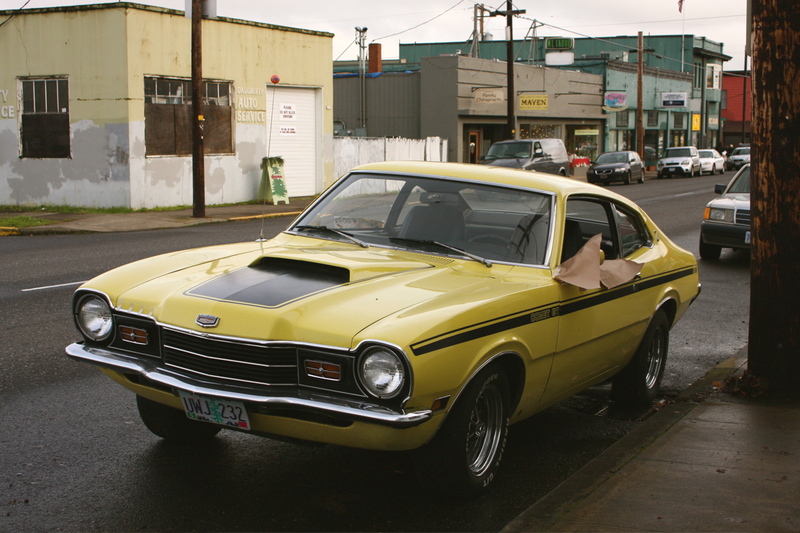 My first car was a 1972 Maverick Sprint, Red/White/Blue color scheme with a 302. I got it in 1977 and it was a piece of junk by then. Cars age better now. Is this car for sale? How does someone get in touch with you? You may reach me at jonesindustrial@aol.com. Very interested in purchasing .